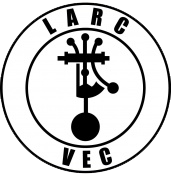 The Mid-State Amateur Radio Club (MARC), offers Volunteer Exam (VE) sessions immediately following monthly club meetings. Testing sessions start at 9:30 am. (Club meetings start at 8 am, you are welcome to come at 8 for the club meeting)! Remember to bring a government-issued photo ID, a copy of your FCC issued license (if applicable), and original & copies of any previous element credits. (Please secure and bring your "FRN" number also). Use the south entrance door of the REMC building.